It all came to an end tonight at the Coquitlam Sports Centre where the Delta Islanders and Coquitlam Adanacs faced off in the final game to decide who will be this year’s BCJALL champion. The Adanacs got on the board first with a goal from TylerPace 7 minutes into the first period. Islanders’ JonPhillips tied the game up with 6:37 left in the first period followed by an AdamJay goal to give the Islanders their first lead of the game. With 2:53 left on the clock, the Adanacs took advantage of a delayed penalty call, so with the extra man, NicholasMcnabb evened the game up at 2 before the period ended. The Islanders started the second period off with a bang. Goals from Aidan Milburn, Nick Jensen and RileyPhillips before the halfway mark made it 5-2 Islanders. Impressive enough, the Islanders were hitting on all cylinders as Milburn’s goal was shorthanded, Jensen’s was on the powerplay and Phillips was even strength. Of course you can’t count out the Adanacs. After all, there’s still a period and a half to go. JohnHofseth started the comeback with 8:58 to go in the second period, followed by two goals from Pace with 3:11 left. 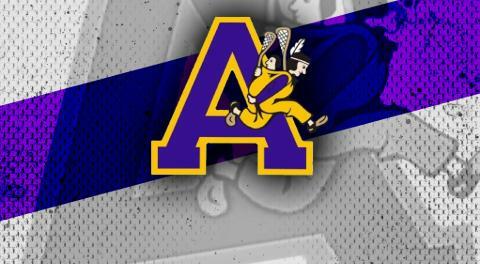 The Adanacs scored a late goal, giving them a 6-5 lead heading into the third period. Early in the third period, either team couldn’t get any momentum going after scoring a goal. The Adanacs strike first, but the seesaw battle continued until there was 4:48 left on the clock. The Islanders, down by one, applied the pressure in the final minutes and were able to tie the game up with a JonPhillips goal with 1:03 left on the clock as Game 3 was heading to overtime. Heading into overtime, both teams were looking a little more retreated, but more so the Adanacs than the Islanders. However, it was the Adanacs who took the lead in overtime with a Hofseth goal, but there was just no giving up by the Islanders tonight, as ChaseFraser scored with 1:07 remaining in overtime as this game was heading into double overtime. In double overtime, everyone in the Coquitlam Sports Centre witnessed history. NickJensen scores early in the second overtime and that was all she wrote. The Delta Islanders are your 2016 BCJALL Champions, ending the Adanacs streak at 7 straight championships. The Islanders also win their first ever BCJALL championship. Extremely well deserved. That wraps up the 2016 BCJALL season, but it doesn’t mean lacrosse season is over. The Minto Cup begins August 20th at the Langley Events Centre where the BC, Ontario and Alberta champions and the BC host faceoff for the Minto Cup.